This Thanksgiving, enjoy your turducken in a cruelty-free way with this turducken toy. The tongue-in-cheek plush mutant imagines what a real-life turducken might look like in the hands of Dr. Frankenstein. The turducken toy is available at NJ's Emporium for $50, which isn't bad, considering this turducken will last much longer than the cooked ones Southern families will eat later this week. 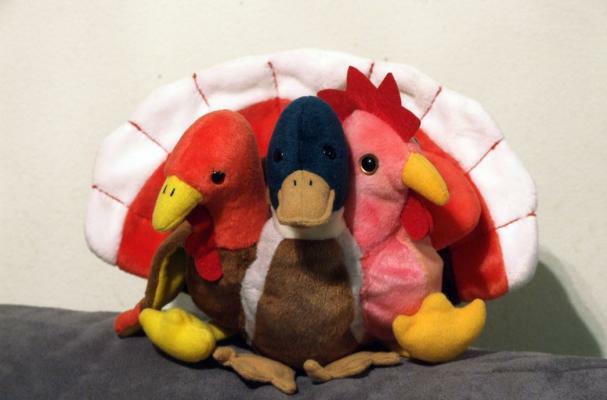 I love the Thanksgiving turkey plush toy. At least I don't have to spend a lot for a turkey all year round.